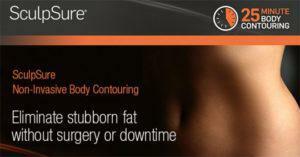 SculpSure is the world’s first FDA-cleared laser treatment for non-invasive reduction of fat of the flanks and abdomen. In one comfortable 25-minute treatment period, this gentle laser SculpSure treatment not only reduces fat cells, but encourages the stimulation of collagen resulting in overall skin tightening of the area treated. If you want to lose belly fat or other specific areas of fat of the abdomen or flank regions, the SculpSure treatment may be your best option for fast, effective and permanent fat destruction. Coosculpting tempts to eliminate stubborn fat by freezing it. It can take up to 2 hours and is uncomfortable for most patients. CoolSculpting used to be a dominant non-invasive fat-reduction procedure, but now SculpSure has taken over. 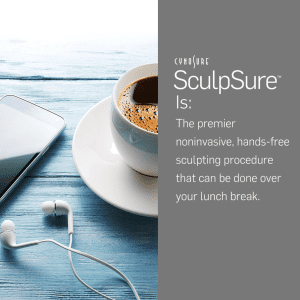 SculpSure is the new go-to procedure for non invasive body sculpting and body contouring. While it is similar to CoolSculpting in that they are both FDA-cleared, there are a few clear differentiations between the two. 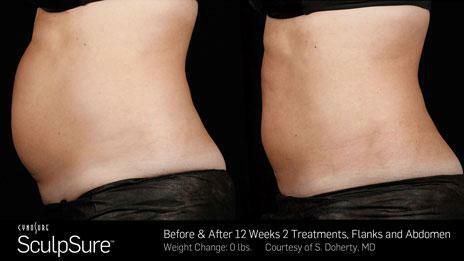 CoolSculpting takes 1-2 hours, while SculpSure takes only 25 minutes. 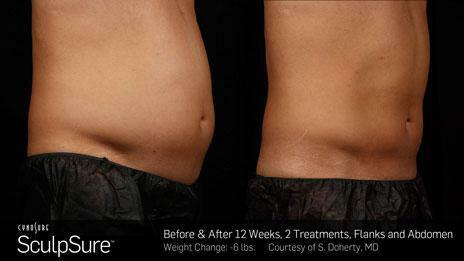 Most of the treated areas using CoolSculpting take 2-4 treatments for maximum results. 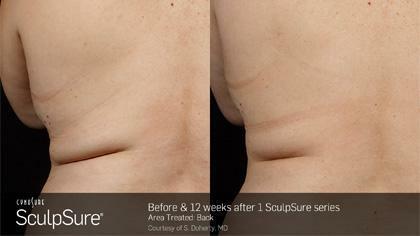 Our experience with SculpSure shows optimal results after 1-2 treatments. Also, SculpSure is less expensive than CoolSculpting! Set up a free consultation at Chaulapatelmd.com and Dr.Patel will work with you to determine the best approach to attain the optimal results you are trying to achieve.